Whilst it remains unclear what the final shape of the Brexit agreement will be, the Government has released a number of bulletins on what will happen in the case of a "no deal" Brexit. We have reviewed that information and produced a White Paper to look at how the "no deal" scenario outlined by the Government might be handled by axis diplomat users. This is, of course, a constantly evolving and changing subject so please remember to keep alert to the latest Government advice and the information that we will publish from time to time via our website. We strongly recommend that you subscribe to our newsletters or follow us on Twitter to find out when further information is published. 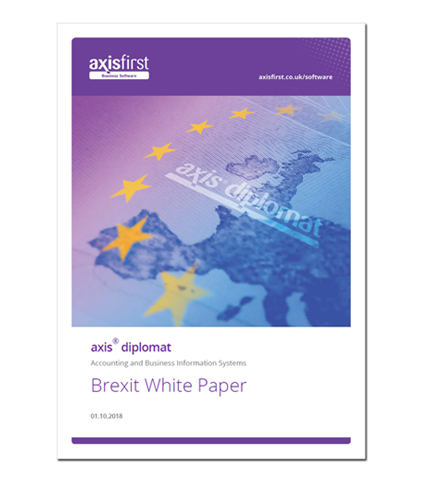 Our White Paper offering guidance to axis diplomat users in the event of a "no deal" Brexit has been updated to include information on EORI and to provide additional links to HMRC and Government Resources.